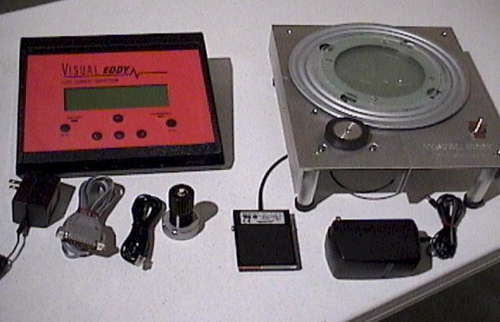 We can test all cylinders with the latest Visual Eddy Mark V test equipment. We use a state-of-the-art technique to inspect these tanks and detect any flaws to ensure your everyday health & safety. The Visual Eddy injects an electrical current into the metal being inspected and searches for small changes caused by cracks thus detecting any and all imperfections that are not visible to the human eye. The same space age technology is used in the inspection of aircraft parts, spacecraft and critical automotive parts as well as for scuba tank inspection.